For a powerhouse SUV that has exactly what drivers in the Glenwood Springs region need, look no further than the 2017 Ford Explorer! It has more than one stand-out engine option that’s boosted by remarkable dynamics to readily take on any challenges that the weather may bring. Furthermore, generous interior space and premium details produce a five-star ride for everyone, whether the ride is bumpy or smooth. Learn more about the 2017 Ford Explorer, and why it clearly excels over vehicles that try to compete, such as the 2017 Chevrolet Traverse. 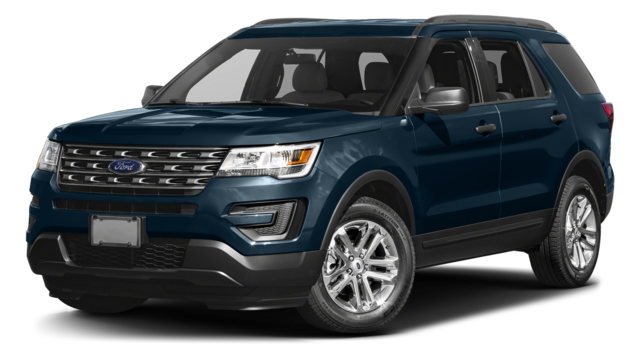 2017 Ford Explorer: With three incredible engines available, a 280-hp 2.3L EcoBoost® with 310 lb. ft. torque, a 365-hp 3.5L EcoBoost® V6 with 350 lb. ft. torque, or a 290-hp 3.5L V6 with 255 lb. ft. torque, every 2017 Ford Explorer trim is ready for whatever the road trip entails. Six-speed SelectShift® transmission, a stellar Terrain Management System™, and Intelligent 4WD with Hill Descent Control™ smoothly tackle weather conditions, while a minimum ground clearance of 7.8” does the SUV’s capabilities justice. EPA-estimated mpgs are also impressive with 17-19 city, 24-27 highway, and 20-22 combined for FWD trims, and 16-18 city, 22-25 highway, and 18-21 combined for 4WD trims. 2017 Chevrolet Traverse: Despite the 281-hp 3.6L engine with 266 lb. ft. torque, the 2017 Chevrolet Traverse does not deliver the supercharged force expected from an SUV. Simple six-speed transmission and the StabiliTrak® system pale in comparison to the Ford Explorer’s boosts, and numbers are not as notable either. Ground clearance is only 7.2”, and EPA-estimated mpgs are 15 city and 22 highway for both FWD and AWD trims. 2017 Ford Explorer: You and your passengers may feel spoiled riding in the 2017 Ford Explorer, given its front and second-row head room of 41.4” and 40.6”, and first, second, and third row leg room of 42.9”, 39.5”, and 33.3”. Ten-way power adjustable driver’s seating, 60/40 split-fold second-row seating, 50/50 PowerFold® flat-folding third-row seating, a heated steering wheel, ambient lighting with seven color choices, and ample cupholders, console space, and 12V and USB power points add to the luxurious experience. 2017 Chevrolet Traverse: The front 40.4” and second-row 39.4” head room, and 41.4”, 36.8”, and 33.2” leg room per row are not the only interior facets of the 2017 Chevrolet Traverse that disappoint. There’s only eight-way power adjustable seating, 60/40 split configurations for the two back rows, and less personal storage space and charging outlets. 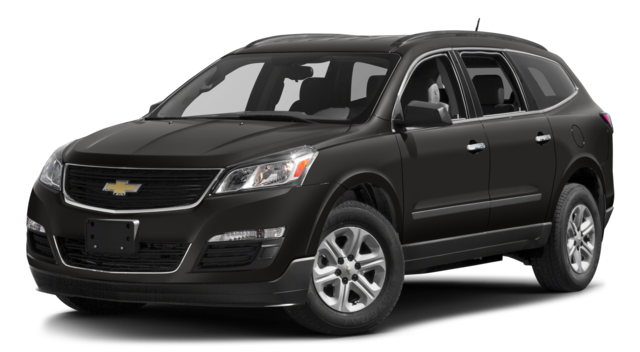 Overall, the Traverse falls short of sufficiently meeting preferences and needs. Whether you come in to 55 Storm King Rd. right away, or message us online first, set up a test drive for the 2017 Ford Explorer at Glenwood Springs Ford! See first-hand how it’s superior to the 2017 Chevrolet Traverse, and why it’s the vehicle you’ve been waiting for!